The 24 000m² Rafal Nadal Academy by Movistar, located in Mallorca, Spain, displays a collection of Dekton® large-format, ultra-compact surfaces on both the exterior and interior of the building and Silestone® surfaces in the bathrooms, after the Cosentino Group fitted out more than 40 000m² in all thicknesses and various applications. The ventilated facade is composed mainly of Dekton®, selected for its high resistance to ultraviolet rays and frost, as well as its colour stability and high stain resistance. Also important was its ease of assembly due to the precise nature of the material and the ease of fusion with the CAT1 Wandegar system. 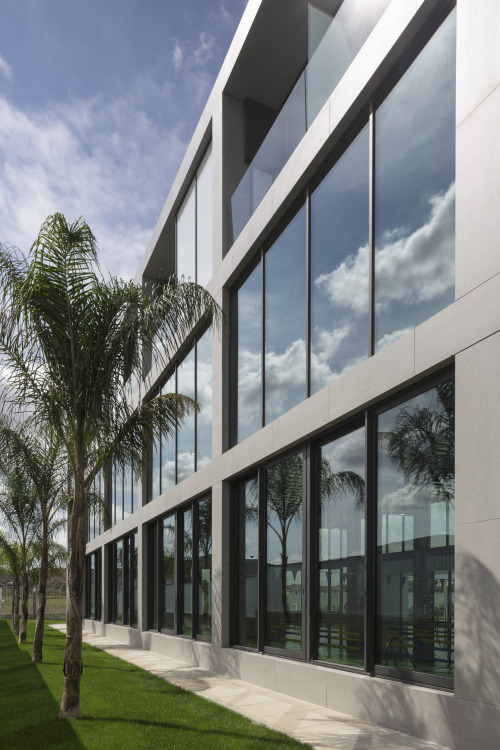 For this project, two customised shades of Dekton® were created: A blue for the facade, which relates to the academy’s brand image, and a subtle, soft white tone (Alba), used on a great number of walls in the building. Ventilated facade: Dekton® Strato, 12mm thickness, enclosing pillars and forgings. 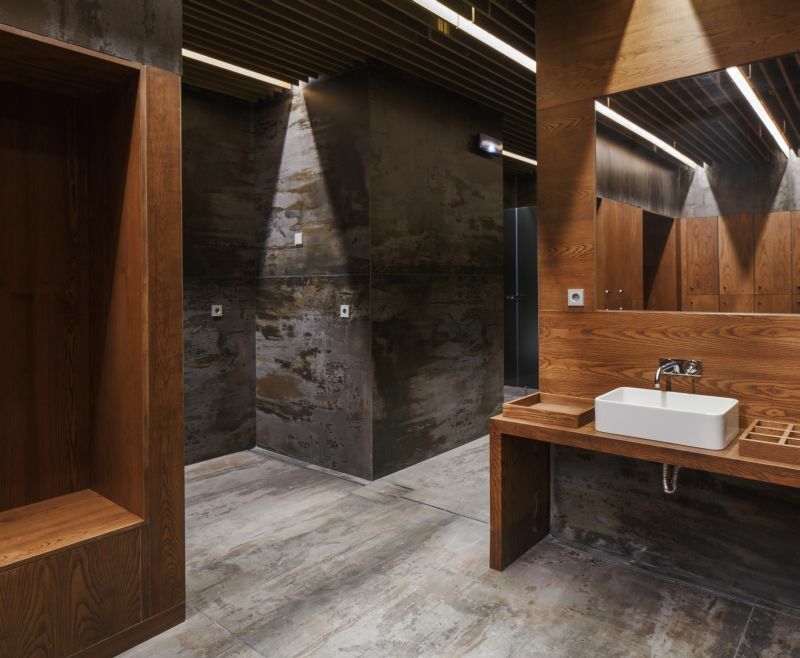 The wall coverings in the changing rooms, spa, indoor pools, restaurant, bathrooms and bedrooms were created using large, 8mm thick pieces of Dekton®. The flatness and resulting uniformity are striking and the reduced number of joints between the pieces facilitates good hygiene. Thanks to its high resistance to hydrolysis, Dekton® does not change even when in contact with liquids for prolonged periods of time, ensuring durability and ease of daily maintenance in bathroom and shower environments. For the bathrooms in the residence, over 130 shower trays were created using Silestone® quartz surfaces in the Blanco Zeus colour with a suede finish. The same colour and texture were also chosen for more than 100 customised bathroom countertops, which incorporate Elegance hand basins from the Cosentino Bath Collection. Its low porosity and low liquid absorption, together with its high resistance to staining and scratching and minimal maintenance requirements, make Silestone® the ideal product for areas where water and other personal hygiene products come into play. Caption main image: Spa: Wall cladding and flooring: Dekton® Trilium, 1,4m width and variable lengths, 12mm thickness.